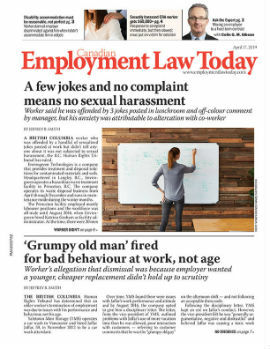 The termination of an Ontario machinist was disproportionate to his misconduct, despite the seriousness of his safety violation, the Ontario Superior Court of Justice has ruled. John Plester worked for plastic manufacturing company Polyone in Orangeville, Ont., for 17 years. Over the years, Plester worked his way up to the position of line supervisor, which involved supervising several employees running the manufacturing of plastic pellets. Plester had a few minor instances of discipline, but nothing serious. Polyone emphasized safety at its workplace, as heavy machinery and chemicals were used in its manufacturing process. It provided regular safety training to employees and had “cardinal rules” that included the requirement that any machinery being worked on should be locked out and tagged so it couldn’t start up unexpectedly. Another rule required employees to report any safety violations, no matter how minor.